Great shot…crisp, clear colors and nice composition. You have really traveled to some amazing places! Wow. Love the clear blue skies and the "movement" of the photo. Nice. 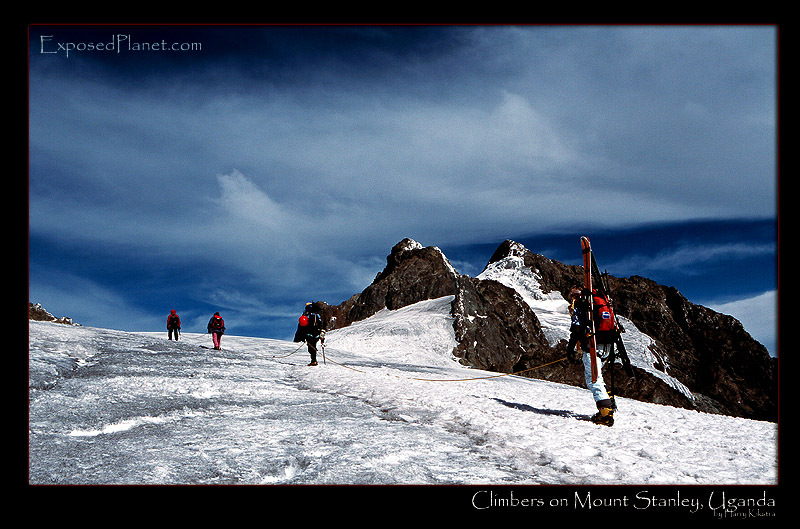 The story behind "Climbers on Mount Stanley glacier, Rwenzori mountains, Uganda"
4 climbers on their way to the 3rd highest point of Africa: Margherita Peak on Mount Stanley.